If you're looking for an economical and reliable SUV, look no further. This 2011 TOYOTA RAV4 has only 83 034 kms, which is very low for the year. 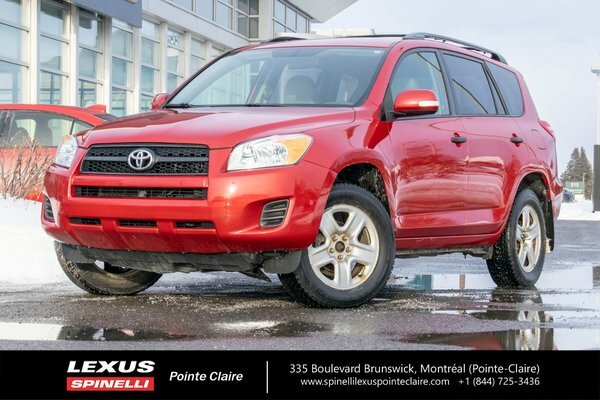 This nice SUV was taken in on trade for one of our Certified Pre Owned LX NX 200T and was originally purchased from one of our Toyota dealers here within the Spinelli Group. Never accidented. CARFAX vehicle history report available. Well equipped with 4 cylinder engine, automatic transmission, 4WD, A/C, and much more.